We serve the Return Merchandise uthorization for repair. Send your product to an WIDE Repair Center and you'll get your product back working exactly the way it should. 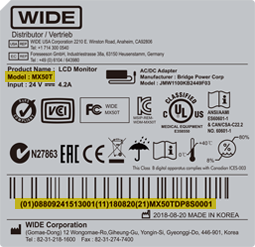 The image is the sample of our label attached on the product backside. Please find the serial No. and model name on it.